March 11 is Day of Drug Control Authorities in Russia. It is the professional holiday of all the employees of the Federal Drug Control Service of the Russian Federation (FKSN). This professional day was established by President Vladimir Putin in 2008. The FKSN was established on March 11, 2003. 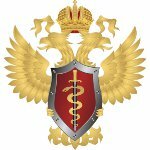 It is a federal law enforcement agency under the Government of the Russian Federation that is responsible for addressing and solving problems related to traffic in narcotic drugs, psychotropic substances, and their precursors. It shares concurrent jurisdiction with the Ministry of Internal Affairs and Federal Security Service. maintains a unified database on issues related to drug trafficking. The staff of FKSN consists of approximately 40,000 employees who celebrate their professional holiday on March 11 each year.